Could your business benefit from an online shopping cart on your website? If you've bought anything on the internet, you're probably familiar with the internet term "shopping cart". 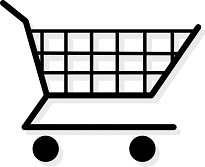 Online shopping carts allow you to sell products or services on your website. The BOI shopping cart system allows you to add an unlimited number of products or services to your site, categorize your products, set your prices, take orders from your site, and fill orders accordingly. Building your shopping cart is easy! You can upload photos of your products, type a written description, include audio, videos, diagrams and more! BOI's support staff is available 12 hours a day to help you list your products or services on your site and configure your shopping cart to your desire.